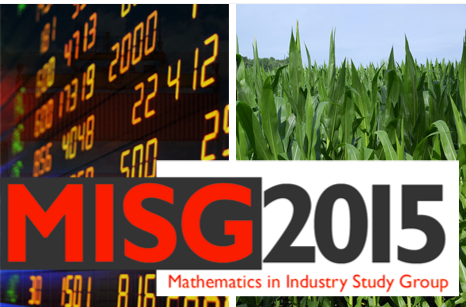 The MISG provides a structure for your business to access knowledge from over 100 world leading applied mathematicians, statisticians and physical scientists. MISG researchers can assist in the development of new technologies, add competitive value to existing technologies, provide the tools to analyse your current data, underpin service industries, and provide the expertise to monitor, predict and solve the quantitative technical challenges that face your business. At the MISG your business will have access to a set of high calibre professionals, tools and technologies that will improve your capacity and capability in problem solving and decision making. You can contact MISG Director, Troy Farrell via email misg@qut.edu.au or phone +61 7 3138 2364 to discuss the suitability of any technical challenges or problems that your industry needs solved.